Tobi Kyeremateng is an award-winning theatre, poetry and festival producer. 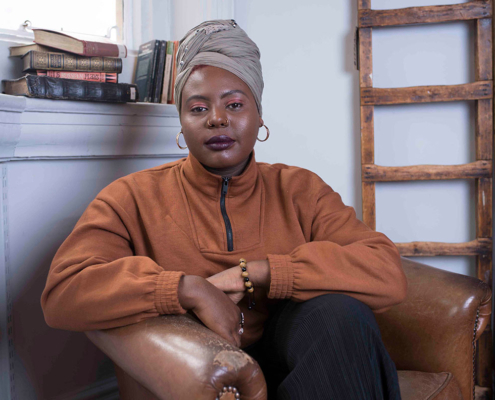 She is also the founder of Black Ticket Project, an initiative to give young black people free access to the arts, and was named as one of The Stage 100’s Most Influential Figures Working in the UK Theatre and Performing Arts Industry. Tobi has produced the short films, Wishbone and Secret Life of Gs, both written and directed by poet Caleb Femi, and has programmed for the Bush Theatre, AFROPUNK London, gal-dem and #MERKY Books Live. She won Inspiration of the Year at Stylist Magazine’s first Remarkable Women Awards, received recognition from the Mayor of London as part of the Hidden Credits campaign and has delivered a talk for TEDx Sussex University.